There are few more dramatic and attractive transformations to a home than when a flat faced building receives a porch but there are many practical benefits to having a porch on the front of your home too. Here at iGlaze, we work hard to find solutions to any of our customers’ porch dilemmas. We can work with you to create a custom made porch to your requirements but we can also replace or repair the windows and doors of an existing porch if this is more appropriate. A porch can protect your front door from harsh winds, rain or snow and can even help you lower your energy bills and stop drafts reaching your main living area. Additionally it’s great for practical reasons too, somewhere to hang your coats and keep your shoes! We have often seen that the addition of a porch to a home will translate into a higher buying price when the time comes to sell your home. Estate agents will often mention the importance of your porch in the house details and potential buyers will love the fact that you home stands out so magnificently from the rest of the homes on the street. 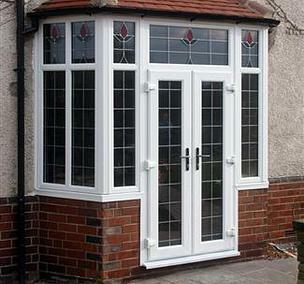 If you are considering a porch for your home why not contact us for a free, no obligation quotation?